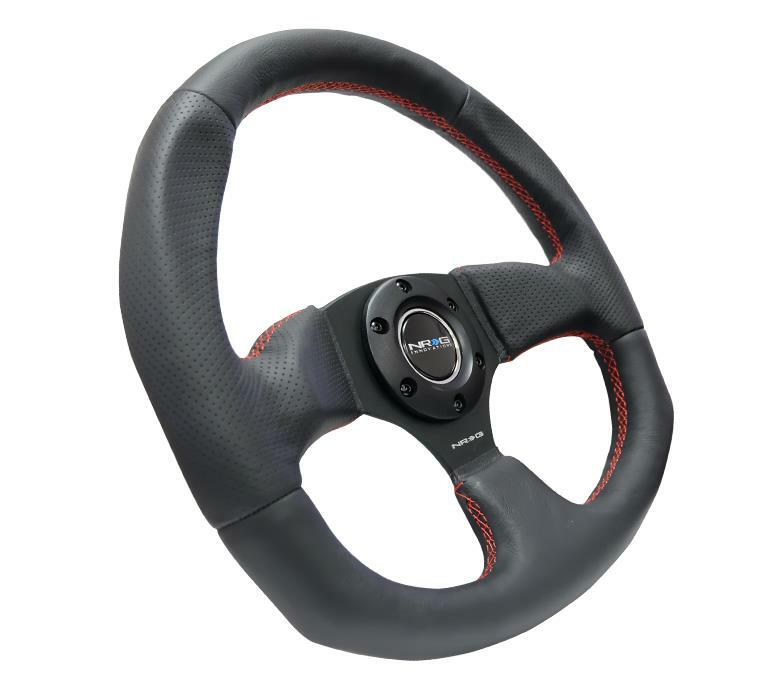 NRG Steering Wheel - Flat Bottom Series - Dezod Motorsports Inc - Home of the automotive performance enthusiast since 2002. The flat bottom series is a perfect steering wheel for easier entry and exit. It was first introduce in a racecar then later has been recognize more. It gives a different feel when you are inside the cockpit. You can find aggressive , thicker more contoured, or aesthetic looks throughout the selection.